In a large saucepan, melt the butter and saute the onion, celery, garlic and carrots for 4 to 5 minutes. Stir in the green beans, tomato sauce, kidney beans, Italian seasoning and chicken stock. Bring to bubbling. Once bubbling, stir in the pasta noodles and cook for 8 to 10 minutes, or until al dente. Season with salt and pepper to taste. 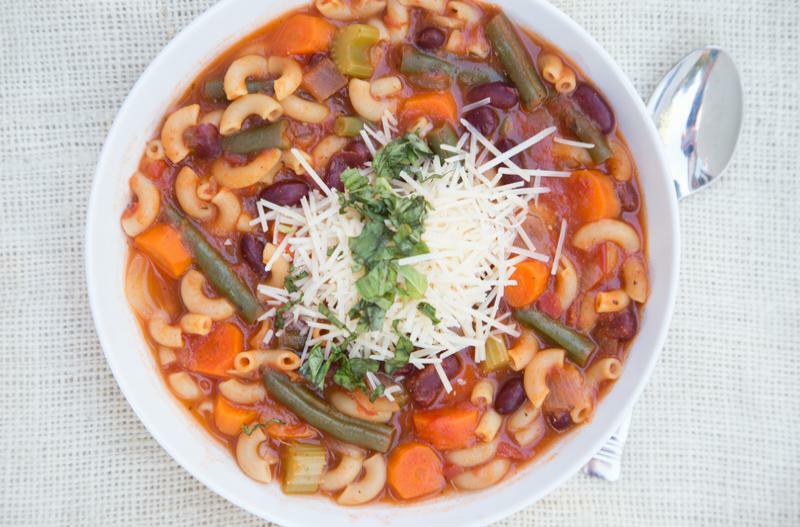 Serve Minestrone Soup with optional Parmesan cheese and chopped fresh basil and side of dinner rolls. Peel and chop 8 whole carrots. Trim 1 lb. green beans. Put baggie in the freezer and freeze up to 6 months in fridge freezer or 12 months in a deep freezer. Thaw in a warm bowl of water for about 20 minutes, before transferring all the ingredients to a large saucepan or stockpot. Reheat the soup and add pasta at end of cooking as directed. Recipe is dairy-free when served with dairy-free sides and when the Parmesan cheese garnish is omitted. 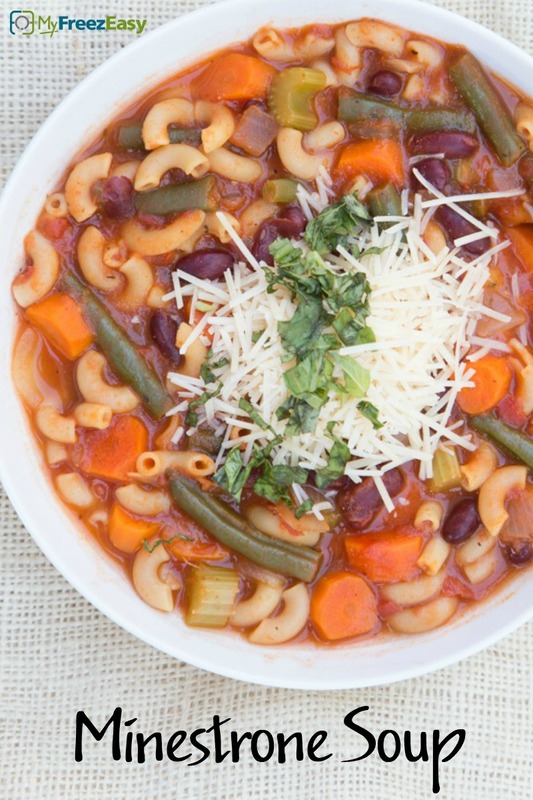 Use gluten-free small shell pasta noodles and serve with side of veggies. Thaw before adding to Dutch oven or saucepan. Bring to bubbling and add pasta and cook for 10 minutes, or until al dente.